Perhaps I should start by saying that I spent about eight years of my life studying Roman history. 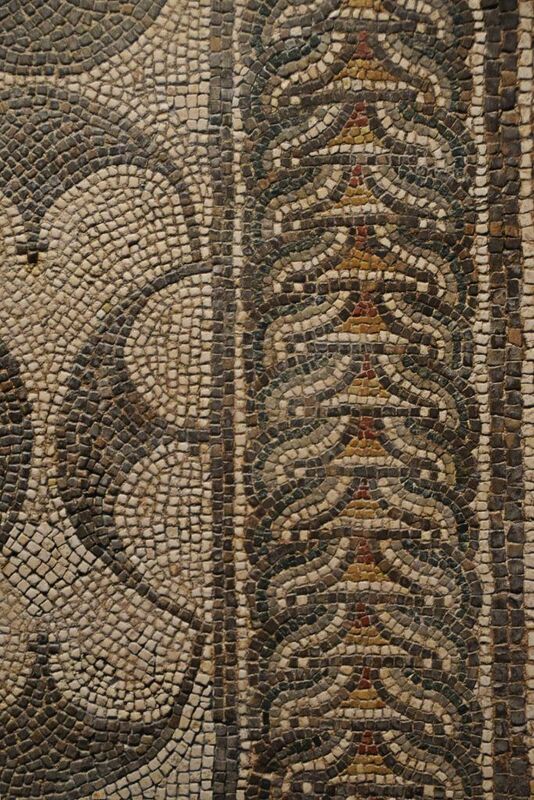 This may give you a clue as to where I stand with Roman sites. 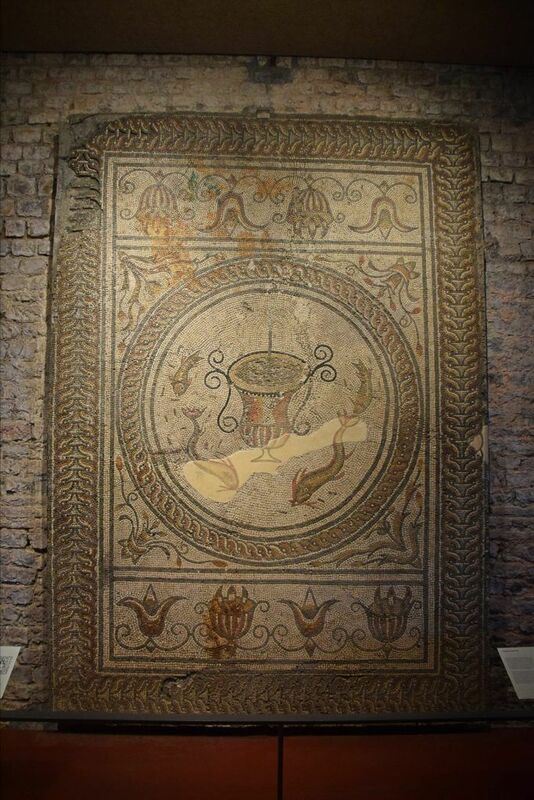 The prospect of visiting Roman towns really makes me stupidly happy, and I have blissfully trawled through municipal museums looking at fragments of Roman life in… well, all of my travels. 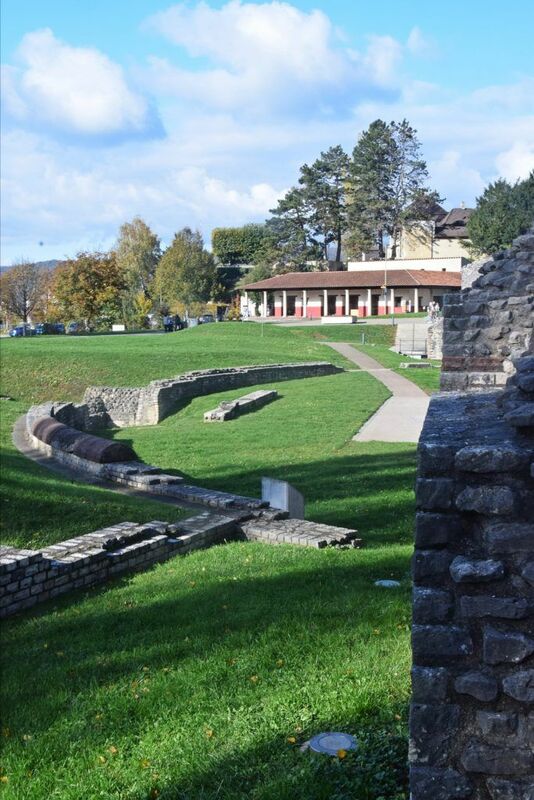 I was therefore very excited about visiting Augusta Raurica, which is billed as the best preserved Roman town in Switzerland, with the biggest theatre north of the Alps. Oooh. 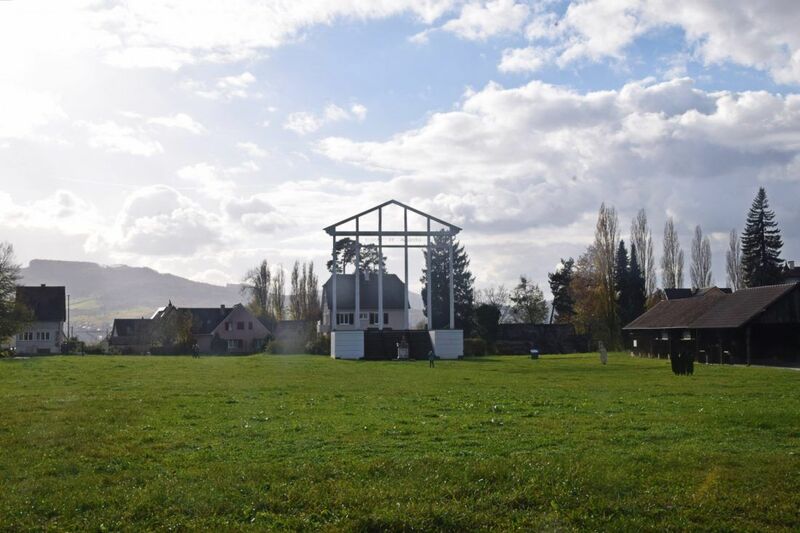 Situated close to Basel, Augusta Raurica is made up of the archaeological site and a museum. The two are basically run together, and though there is an admission charge for the museum, wandering about the site is free. The Celtic Raurici tribe originally occupied the area around where Augusta Raurica came to be established. The governor of Gaul, Lucius Munatius Plancus, founded a colony town in the area in 44BC with the aim of creating a bit of a buffer zone both to protect what they had and to control the region’s future. The Romans liked to use natural borders, and the Rhine running north of the current site provided a decent temporary barrier. It is interesting that it wasn’t until 15BC that construction started on what became Augusta Raurica, presumably due to the fact that the Romans were occupied by the troubles of their own civil wars – though clearly the Raurici weren’t viewed as a threat, or they’d have built something to protect their land pretty sharpish. The town was built on the Augst Plateau and a military camp was set up between the town and the Rhine. A bronze map of Augusta Raurica, Switzerland. The theatre is the large structure near the top left and the forum is the rectangular area to its right, with the Basilica and curia at the end. 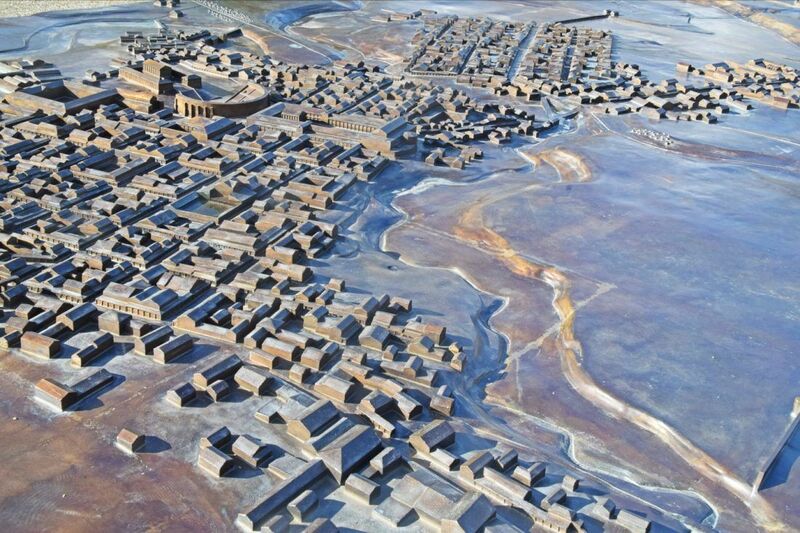 In 50AD the town’s wooden constructions were replaced by stone as more of a permanent settlement became established. 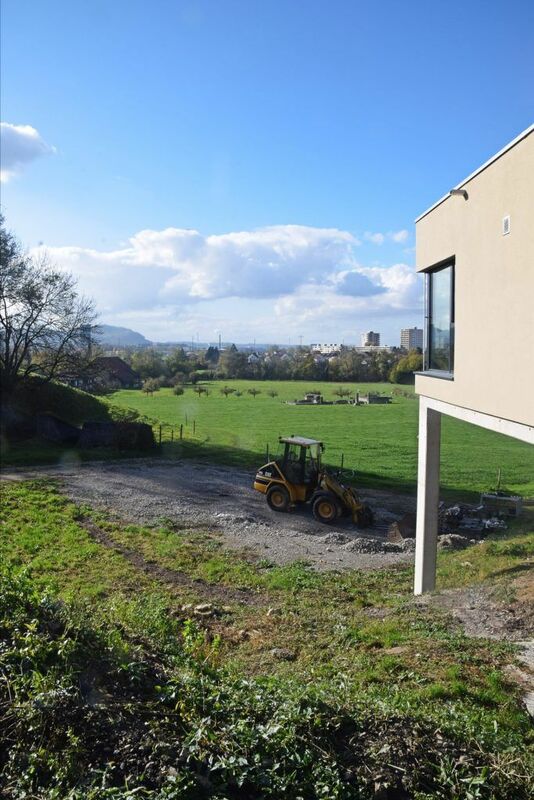 This development reflected the growing comfort and security of the area – the Rhine lost its role as a border, as the lands to that side became incorporated into the Empire and left Augusta Raurica in a cosy, relatively safe position which allowed it to flourish nicely. The soldiers left, and the town flourished even further as a centre of trade. The problems that faced the Roman Empire towards the end of the 2nd century AD didn’t leave Augusta Raurica untouched – in fact, they left the town in rather a difficult situation. The Germanic tribes had been troublesome along (and in) the borders, and there had been a number of plagues and wars which had taken a toll on the economy and the lifestyle that the Romans had become used to. Things really deteriorated with the collapse of the northern border in 260AD, which made the Rhine take up its previous role as a frontier line. Augusta Raurica was beset by problems and the population dwindled and large parts of the town were abandoned. 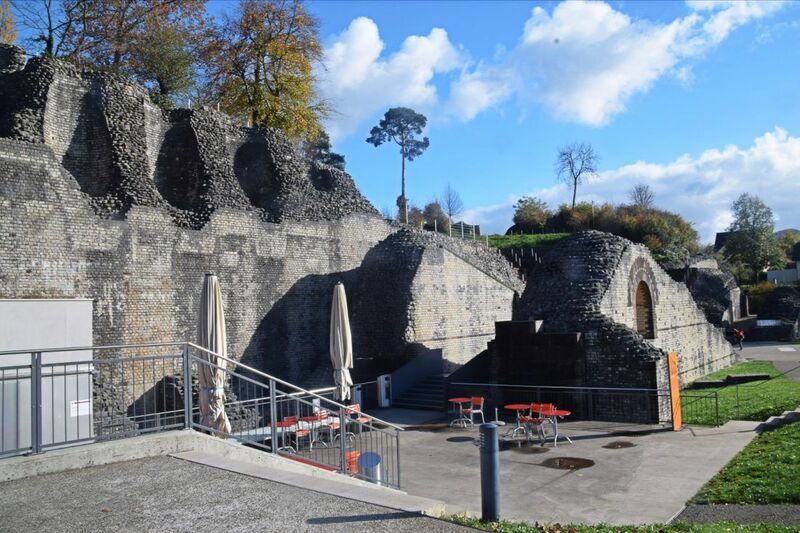 In around 300AD the soldiers returned – the Castrum Rauracense was built on the banks of the Rhine and as well as the military, the remaining civilians also went to live within the fortification. About fifty years later the Germanic tribes destroyed the fort, but it was rebuilt. In 401AD most of the troops left for good and within the century the Romans lost control of the region. 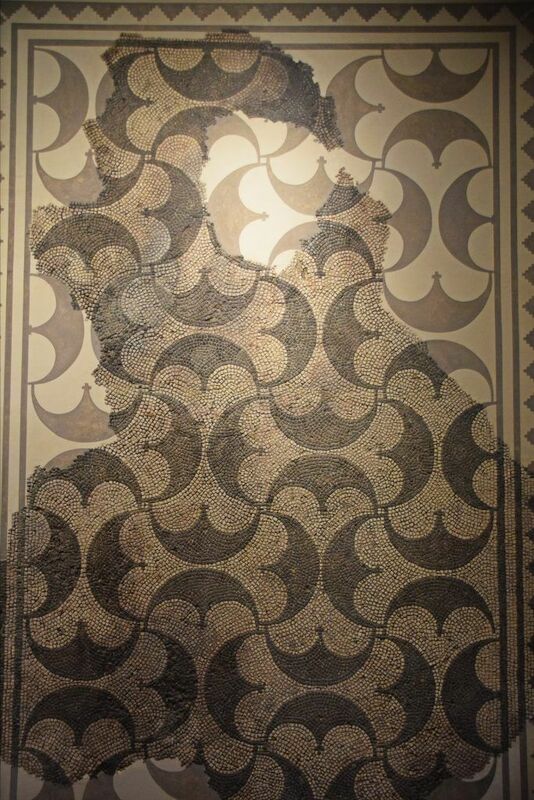 But the Romans can’t be totally eradicated – their Empire might be long gone, but their remains keep popping up to remind us of how truly awesome they were. 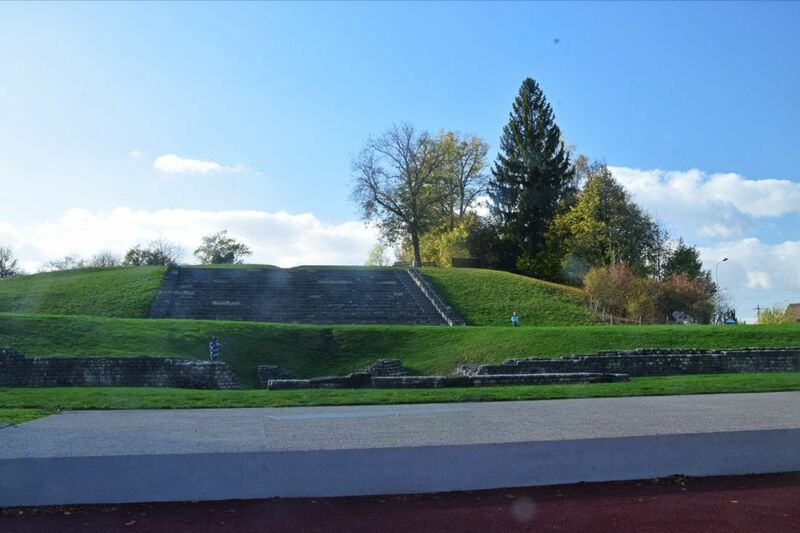 The theatre seen today was originally constructed in c70AD – theatres were extremely popular in the Roman world, with performances varying from a type of pantomime to serious tragedy and everything in between. Local rulers earned brownie points with the public by getting good quality acting troupes in during the many festivals and days off the Romans enjoyed throughout the year. 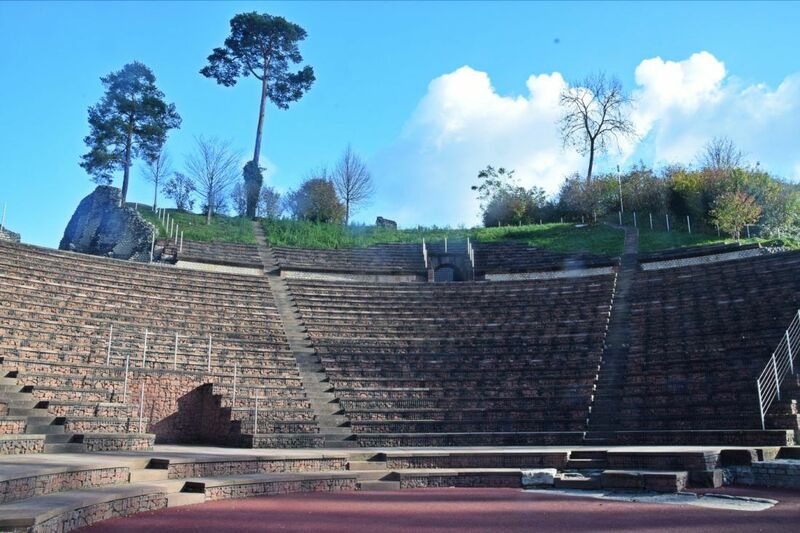 In 110AD there was an upgrade and the theatre was transformed into an amphitheatre, which had entirely different entertainment types – more violent, animal-based and gladiator-based and executing-criminals-in-a-fun-way-based. 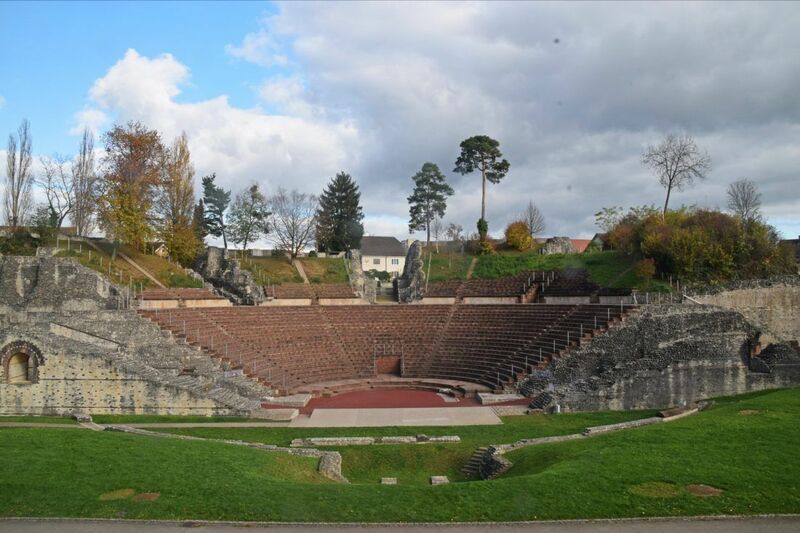 However, in 170AD they decided to build a bigger, better amphitheatre out of town, so this one in the centre was re-assigned as a theatre and got reconstructed. This is the version around today. It was used until 280AD when it fell into disrepair and, like most grand Roman buildings, was subsequently used as a quarry. In its heyday the theatre had three tiers and would have held 10,000 people. Just to give you an idea of the size, today’s structure can hold 2000. The richer you were, and the more of a local big-wig you were, the closer you sat to the stage. In some theatres I’ve seen they’ve had marble thrones which were used to seat the most privileged citizens, and the front seats have been more heavily decorated. The Romans believed in comfort. Particularly if it showed off your status as well. From the theatre it would have been possible to see the temple opposite and it would therefore have been possible to watch religious processions. This is quite interesting, because it really links in with the performance-led nature of Roman state religion, and means that the average citizen could probably take part in the proceedings more than in many other places. Goings on in the temple buildings themselves were closed off to average Joe’s and it was only during the big public ceremonies held outside the temples that they would have been allowed to watch what was going on. However, space would have been limited (as in the Forum described below) so this really was a pretty cool feature of Augusta Raurica’s town planning. The Temple on Schönbühl Hill, whose remains are visible today, was probably dedicated to the Emperor and the major gods of the Roman pantheon. The hill originally housed smaller temples in 50AD but there was a major renovation project which saw the whole area redesigned and made more “Roman” – the central Temple always played an important role in town planning because it showed the power of the gods in a prominent spot. Opposite the theatre is pretty prominent. Thus while it was not the most important temple in town – that would have been the one in the forum – the position of this one shows that it probably had a pretty important role in town. And it would have looked impressive, with a grand podium, surrounded by a colonnade. Sadly in the 3rd century the Temple was used as a quarry so very little has survived. The remains of a tavern can be found close to the theatre, showing the sensible priorities of the local populace. As well as providing food and drink, a tavern would have possibly been rather like a medieval inn, providing lodgings and whatever services that were required. The business was presumably prosperous, because some fine silver statuettes of deities were found there, as part of the household shrine, the lararium. 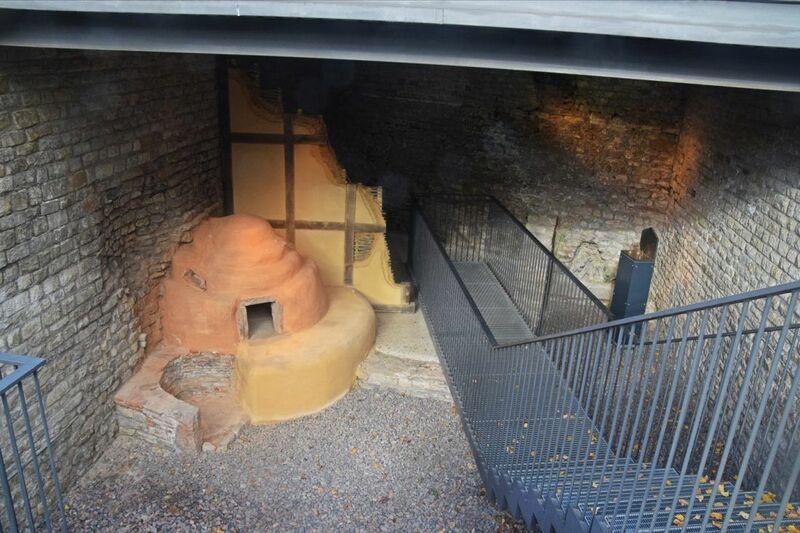 Incredibly, the oven was excavated practically intact, though it has now been restored and covered in that protective orange plaster. The entrance to the tavern would have been at this lower level, which would have come out onto the street in Roman times, whereas what it now at our level would have been the upstairs of the tavern. It is here that archaeologists think a scrap-metal dealer or a craftsman worked and lived. Walking up from the tavern, basically just behind the theatre, is the centre of town: the Forum. Like other parts of town, the forum’s redevelopment reflected its growing status and good fortune; the original wooden construction was replaced with stone in c50AD and again in 150AD. It was important to keep this area as smart and up-to-date as possible, because it was the hub of all political and administrative activities and helped glorify the power of Rome. There was a large temple, probably dedicated to Jupiter, which sat at the end of a rectangular square, surrounded by a colonnade which would have housed offices. The remaining stones from the temple were removed in the early 20th century because they got in the way of locals farming the land. 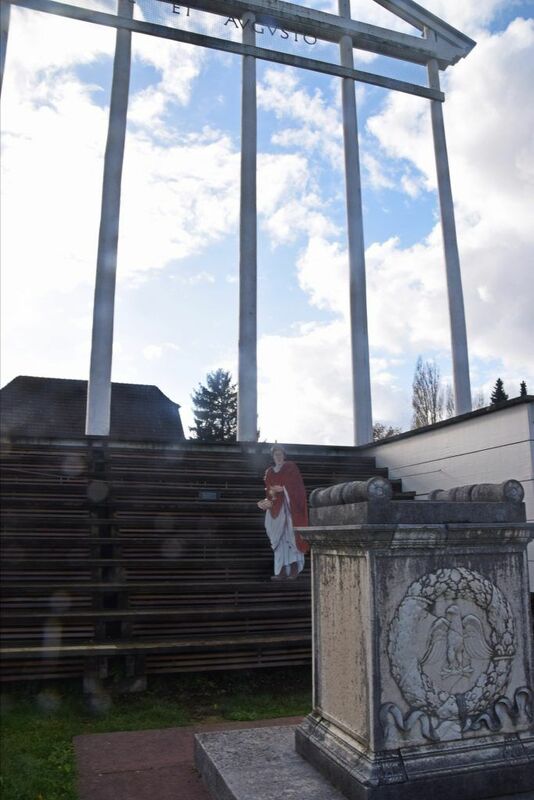 The Temple in the Forum of Augusta Raurica, Switzerland. The altar’s design is reconstructed from elements that were found. The cardboard guy has been there since 340AD. At the other end of the forum are the remains of the Basilica, the central court-house/administrative building. It would have been extremely grand, but is now just a wall: it backs onto the remains of the Curia, the town hall where the local council held its meetings. About a hundred men, drawn from the elite local families, would decide on all the day to day affairs of the town, but they would also be responsible for public entertainment, as mentioned above, and for the construction and reconstruction of civic buildings like bath houses. The Curia was originally a two storey building, the top floor easily accessible from the Basilica, and with a treasury or prison at the bottom. The Curia burned down and interestingly the locals decided to build directly on top of the rubble. Some remnants survive of this newer construction. 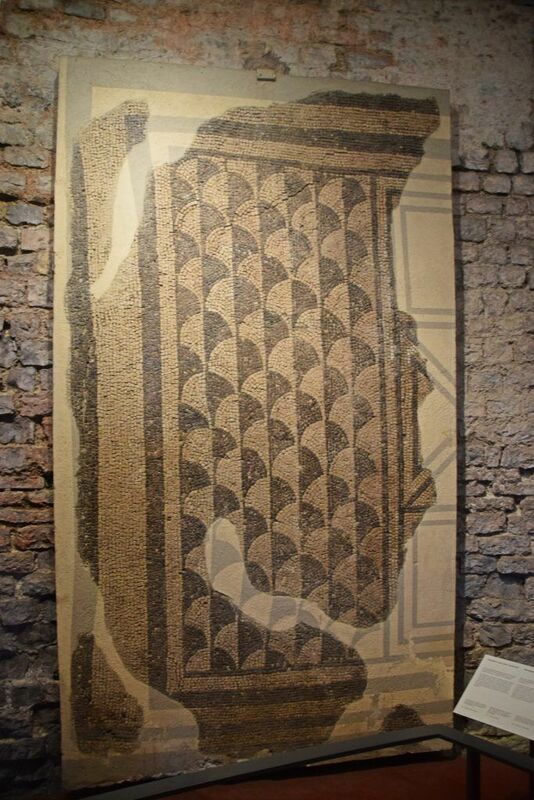 Down in the Curia basement are some mosaics which are worth looking at, with interesting geometric designs. A little walk downhill and you get to the baths. Built after 100AD, these are thought to have been privately owned, but they were so centrally located they were probably open to the public at a charge. 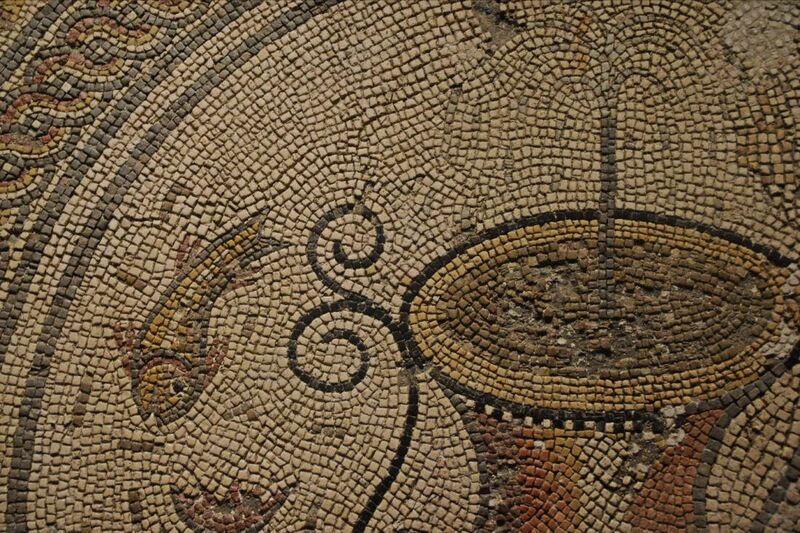 Roman bath complexes were usually a great place for socialising as even the wealthy might not have such good facilities attached to their villas, so they would use the convenient local baths for practical as well as networking purposes. 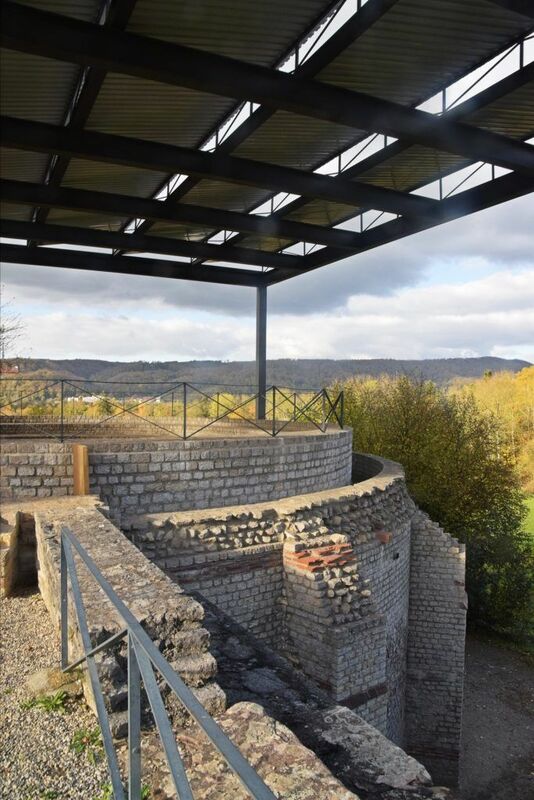 There would have been a hypocaust system to give underfloor heating, and there was a series of rooms which went from hot to cold which were aimed to get you clean but also sauna-d and invigorated. Just underneath the baths is a specially constructed well complex with slightly sulphurous water, which may have been used for healing purposes. It was only discovered in 1998 (which gives you hope as to what else they may find!) and it had been untouched for 1800 years. A further amazing point is that when the well was filled in, people just chucked in lots of random crap, including ceramic coin moulds! Sadly these weren’t on display in the museum when we visited, because I’ve never seen such things! 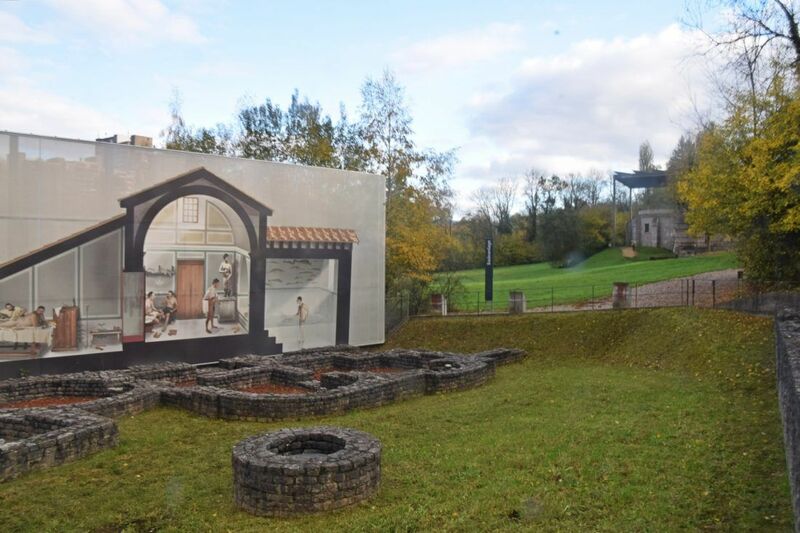 There are some more remains to see, but unfortunately we were running out of time and energy, so we decided to leave the rest for when we return for that Roman festival (see below) – but there’s an amphitheatre, a sanctuary and some workshops, among other things. We did peer at the sanctuary from afar, and you can just about see it amongst the fields in the picture below. The site is not one of Europe’s most exciting, in that there isn’t a lot still standing. What can be seen is also basically reconstructed, something I don’t have a problem with if it isn’t in great condition in the first place, isn’t unique and if the the reconstruction makes the place more useable. What makes it both historically and archaeologically a very interesting place is its position towards the northern end of the Roman Empire. Augusta Raurica also holds a big Roman festival in August when gladiators come out of retirement, actors brush up on their Terence, and musicians start tooting their pipes. It genuinely sounds like a fun a weekend, and I hope to make it there some time. We visited in November 2017.